Dole Food Company now expects the sale of its global packaged food business and Asian fresh produce business to Japan’s Itochu Corporation to be finalised early this year. The deal is still awaiting regulatory approval from China, having gained approval from the other six required countries. “After weeks of active engagement, the Chinese Ministry of Commerce officially accepted our antitrust filing on 11 December, and promptly met with Dole and Itochu officials,” said C Michael Carter, Dole’s executive vice president and general counsel. Carter, who will also take up roles as president and chief operating officer in the new sans-Asia Dole the company following the sale to Itochu, also announced the company had secured new loans and credit facilities from its four banking partners, enabling it to pay off US$1.7bn in debts and cover restructuring expenses arising from the sale. Carter said he believed the outlook for the new, slimmer Dole was promising overall, and that ‘rightsizing’ efforts would yield results in the coming year’s financial turnout. But while the damage to the Philippine banana sector from Typhoon Bopha has pushed up prices in Asia, he said that has not spilled over into the North American or European markets yet. 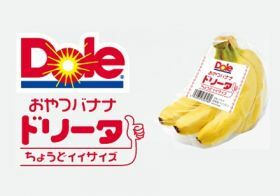 “Despite the tightening global supply, we continue to see aggressive contract negotiations in the North American banana market even though costs are higher, with some importers seeking to buy market share,” Carter explained.